OCTOPUZ is an intelligent offline robotic programming and simulation solution ideal for users of all experience levels. OCTOPUZ is optimized for various manufacturing applications such as welding (arc, spot, etc. ), waterjet, plasma, and laser cutting, trimming, deburring, polishing, milling, sanding, grinding, laser cladding, dispensing, painting, and more. OCTOPUZ is the ideal solution for programming all of your robot brands together easily in the exact same way. FABTECH is a very important event for OCTOPUZ as it targets the same attendees as our software user base. Fabrication is the single largest industry utilizing OCTOPUZ software to program robotic applications such as welding, plasma cutting, painting, and more. OCTOPUZ will be announcing and demonstrating exciting new features and functionalities included in the next release. Attendees will see full offline programming and simulation capabilities through live software demos and live robots performing programs generated in OCTOPUZ. 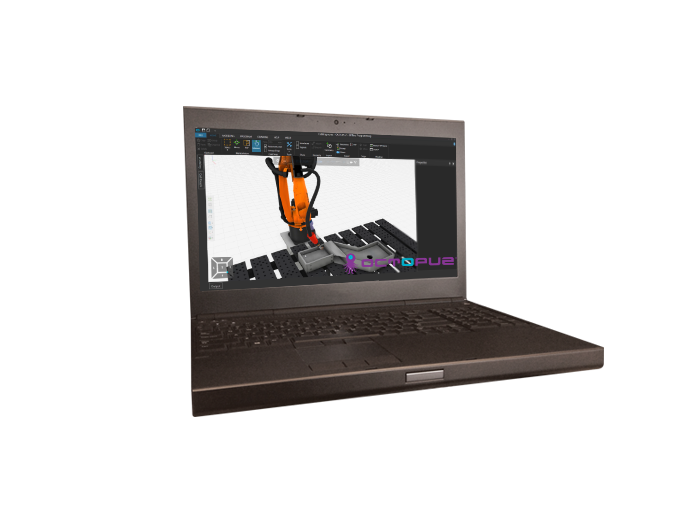 The OCTOPUZ team will walk through the entire programming process from importing the CAD geometry of the part to posting the code and running it on a robot. OCTOPUZ will be conducting booth demos throughout the show. Attendees will be able to see demos of the new features as well as the features that are most used by our user base that have greatly impacted the way in which they program. We are most excited to see the exciting new technologies in the robotics and automation world. The future looks very bright for 3D printing and Advanced manufacturing, and the OCTOPUZ team is looking forward to contributing to making these applications easier and quicker to program for industrial robots. Articulated robotic arms increase the flexibility of additive manufacturing applications and due to the typical size of these programs, offline programming software is/will continue to be an essential part of the process.